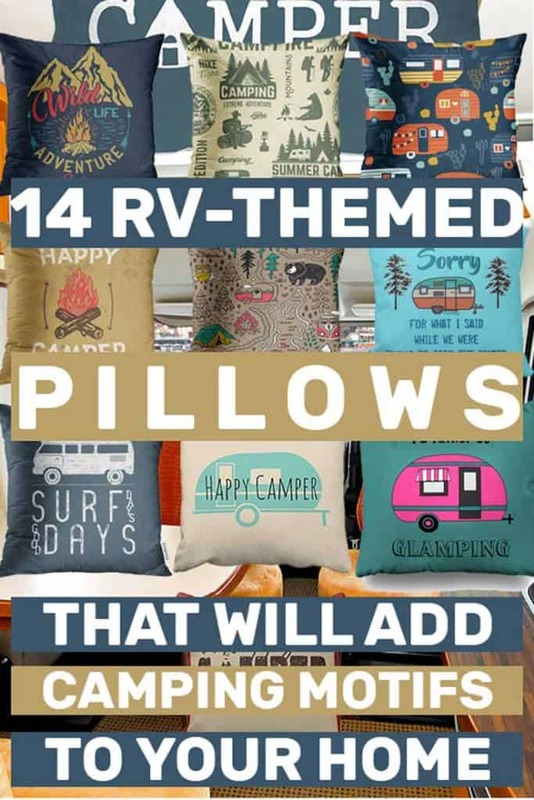 Whether you’re looking to decorate your RV or you want to introduce an element or RV life into your living room – themed throw pillows can be just what you’re looking for. Throw pillows come in a multitude of sizes, shapes, patterns, and colors. They provide an affordable way for just about anyone to add a themed accent to any living space. Focusing on certain prints – including sayings – offers us a super easy way to introduce a favorite concept into home design. 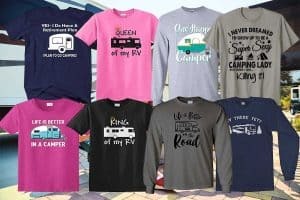 Decorating your home with RV motifs. Having these in your living room or on your bed can serve as a constant reminder of the huge part that camping and RV’s play in your life. 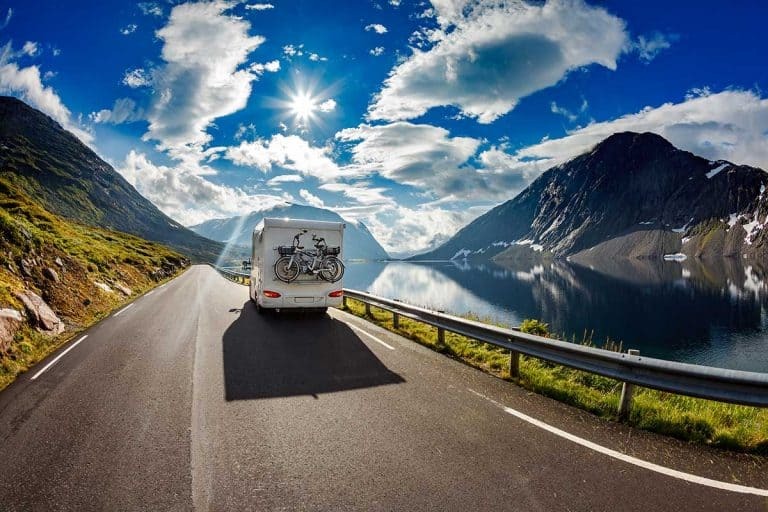 Gifts for friends and dear ones who share your passion for RV’s. 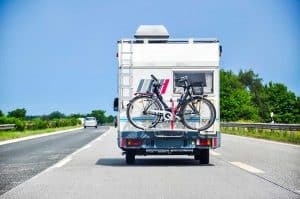 Decorating your RV itself, of course! This set of 4 throw pillows is bound to spruce up your camper’s décor with a splash of vibrant colors. The bright yellows, subtle reds, and suggestive murals will make your camping adventure feel more authentic. Emvency has been making camping pillowcases for many years, which explains why the fabric feels nice to the touch. There are three variants of the pillow covers, 16” by 16”, 18” by 18”, and 20” by 20”, making it possible to stylize all sizes of campers. In addition, the fabric is durable and feels soft to the touch. Furthermore, both sides of the pillow are printed with high-quality ink that does not fade after washing. Make sure to wash these pillow covers in cold water. Emvency cautions against using bleach and other strong chemicals. Click here to the set of 4 throw pillow covers. This is the second time Emvency has made it to our list, and for good reason. This set of 4 throw pillow covers comes in elegant designs and a bright color palette that has been printed on both sides. The artisan was given complete freedom to express their creativity without any restrictions, which explains the versatile murals. 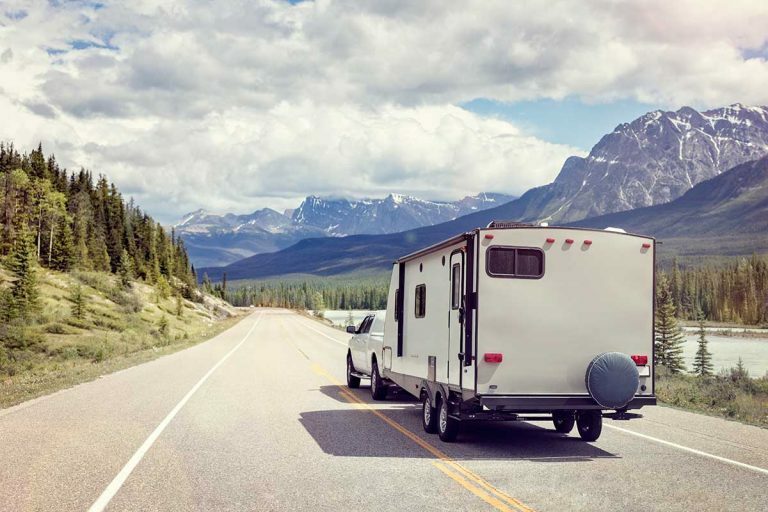 Furthermore, the pillow covers are bound to make your camper feel more homely, and will easily overhaul its interior décor without having to break the bank or putting in too much effort. The visually striking appearance of each pillow cover is bound to complement any other accessories you may have installed in the camper. A hidden zipper strategically located the pillow cover makes washing less of a chore and allows consistency in design. Click here to buy these pillows on Amazon. This pillow cover will resonate more deeply with fans of retro art. If you’re trying to make your camper look more retro, but you’re running out of ideas, then this pillow cover is just what you need. UOOPOO is a lesser known manufacturer of pillow covers, but have managed to hit all the right notes with this product. The durable material is eco-friendly and is incredibly soft to the touch. The zipper is hidden strategically out of sight. It is easy to wash by hand without the risk of fading the color. For longer, sustained off-road trips, you will find this vintage throw pillow to a comfortable, inspiring companion. 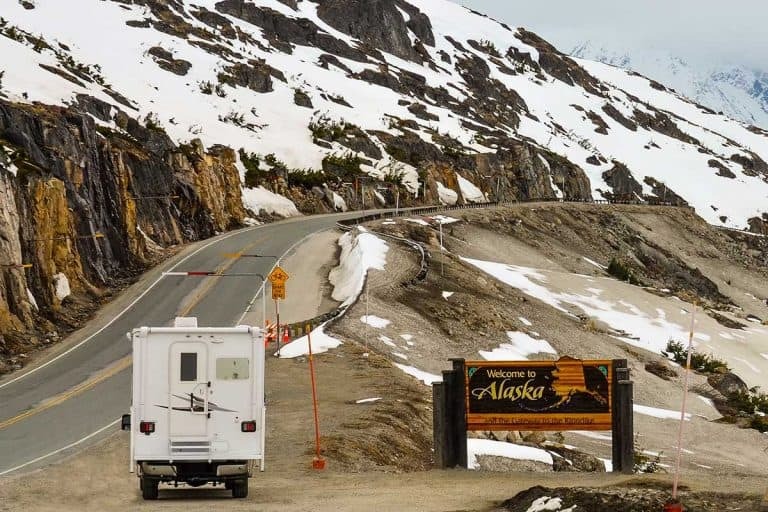 The background story behind the statement on the pillow: “Sorry for what I said while we park trying to park the camper” isn’t exactly elaborated by the manufacturer, but if you’ve been in a similar situation, you can probably relate to this! 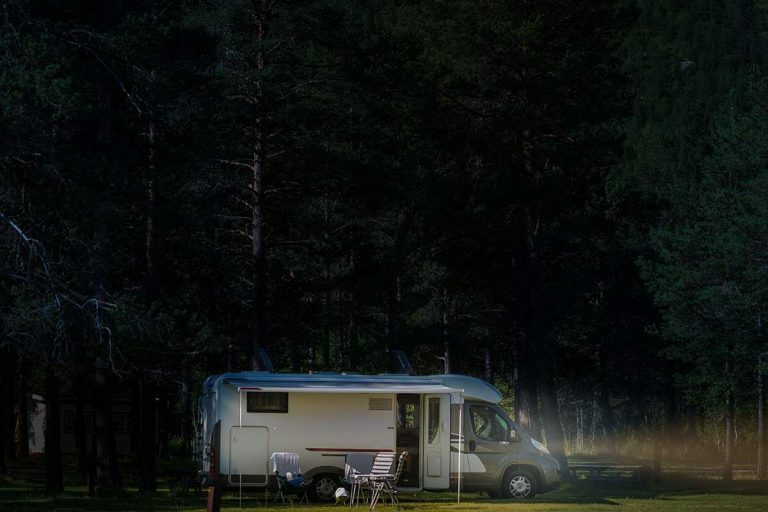 The mural applies contrasting tones against the silhouette of an RV camper, with trees bustling in the background. The striking blue cyan illuminates the subtle details of the camper, helping the artist’s vision come to life. This throw pillow will make the perfect addition to your camper, but the mystery statement at the bottom might not be for everyone. If you love this throw pillow regardless of the obscure message it carries, buy it here. The artist utilizes the eclectic appeal of neutral colors against a brilliant splash of white to help the mural stand out. The artisan’s brilliant concept will serve as your perfect travel companion, and become a source of much calm in an otherwise chaotic 4WD off-road adventure. If you want to spice up the interior décor but have run out ideas at this point, take our advice and get this throw pillow. The material is thick and sewn well, ensuring longevity and durability. It’s soft and comfortable to the touch – you’ll start snoozing the moment you lay on it. Click here to get to the Amazon link. This company has an entire lineup of throw pillows dedicated purely for fans of retro art. And if you’re always on the road, these pillows are made just for you. 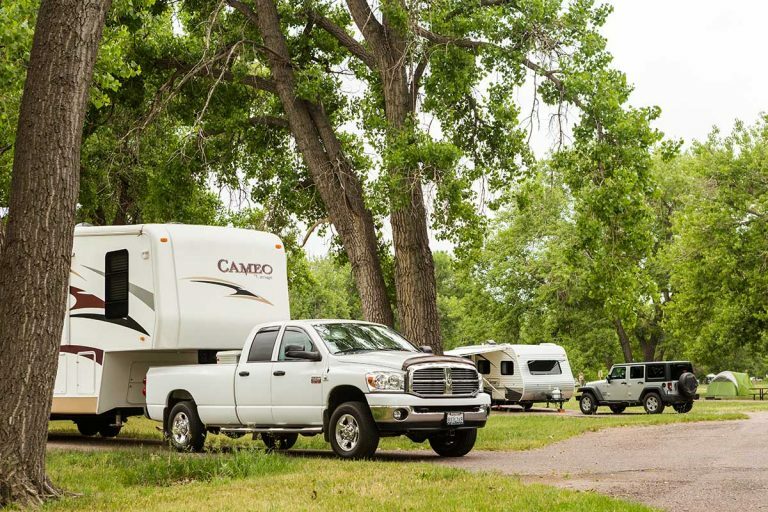 Most campers have dull backgrounds that are devoid of any decoration. This throw pillow will help you add a touch of personality to the interior décor. You won’t be getting bored with your camper anytime soon by purchasing these pillows. Like other throw pillow covers on this list, this product also features a hidden zipper to ensure consistency throughout the design. The durable material ensures that maintenance is easy and not too laborious. It seems the camper scene on Amazon is thriving, thanks to creative artists like Jidmernm who use their talent to make off-road adventures more colorful. We were particularly impressed by the intuitive use of neutral colors against an off-white background. The feature-rich pillow is resistant to abrasion and is made with breathable material. This allows air, moisture, and heat to pass through, which can play an enormous impact on heat management. The end result is a pillow that always smells fresh with no build up of smelly smells. This makes it ideal for long off-road trips. Are you impressed by this throw pillow? If yes, then click here to buy it. This throw pillow by Suesoso is designed for universal compatibility with campers and homes alike. You can prop it on your sofas for decorative purposes, or bring it along for the ride on your next camping adventure. Both sides of the pillow are printed and the zipper hidden out of sight, this combination ensures that the pillow looks as authentic as possible. Suesoso sells these pillows in five sizes, ranging from 16 by 16 inch all the way to 20 by 20 inch. The fabric is made with a blend of cotton and polyester to increase its longevity and durability. Maintenance is incredibly simper, allowing machine wash, although you shouldn’t use bleach. This throw pillow cover helps you add more vibrancy to your camper’s interior décor. The artist was allowed to express their creativity with this design, enriching the fabric with a unique design characterized by tonal variations for a more authentic appeal. MUKPU is one of the few manufacturers that sell throw pillows in bigger sizes that go up to 26 by 26 inches. If you don’t like the generic caption on the pillow cover, you can always have it customized by leaving the seller a message. This gorgeous pillow cover by Golee will make a lovely addition to your camper. The artist perfectly capitalizes on the contrasting differences between dark and white splashes to create this silhouette. This pillow cover is available in three different sizes, 16 by 16, 18 by 18, and 20 by 20 inches. The short pile velvet is durable enough to last for longer sessions. The print does not fade and can be machine washed, just don’t use bleach. Click here to buy this pillow cover. This pillow cover will make you feel good about camping for extended periods of time. It gives off a vintage appeal that will be appreciated by off-road adventurers. You can get five different versions of this throw pillow cover at varying prices. Each print features a different camper size and shape, with the same message that reads, “happy camper”. So if you want a feel-good product, then this throw pillow is definitely what the doctor ordered. Are you someone who loves surfing? Try the vintage surfing RV van throw pillow cover by Upoos, which features an old-school van that accommodates surfing gear on the roof. Although the van doesn’t quite look like a camper, it definitely brings the same vibes to the table. If you’re interested in buying this throw pillow cover, click here. Let the world know you’re really into camping by prominently displaying this message on the couch. This throw pillow is made of 100 percent polyester, which was designed with longevity and durability in mind. The print is a stubborn layer of ink that will not fade due to rough usage or by splashing water on it. This means you can wash the pillow covers without fear of losing the color. 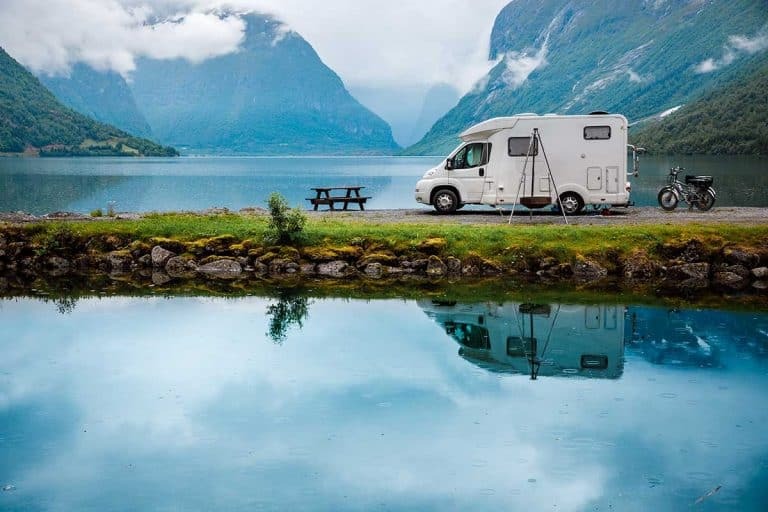 On your camping journeys, you will come across a lot of flora and fauna that will become a mainstay feature of the landscape. This includes cactus – lots and lots of cactus. If you want to bring the feel of the great outdoors into your van, this throw pillow by Upoos is exactly what you need. It is soft, durable, plush, and features a high-quality fabric. You can get this throw pillow by in various sizes, but make sure to do adequate research before buying one.